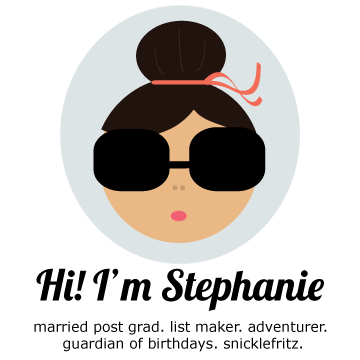 Steph's Travels: One more stop: Bah-ston or is it Bawstin? One more stop: Bah-ston or is it Bawstin? We squeezed in one more stop before heading home. Jacob has an awesome cousin who lives in Boston, so we thought, hey, let's see Boston. So we extended our layover and spent a couple of nights in Boston. In short, Boston was wicked awesome. Our adventures were short and traditional. First stop, the Freedom Trail with a hilarious guide who was in costume. Thankfully, she was more hilarious than awkward so we had a good time. 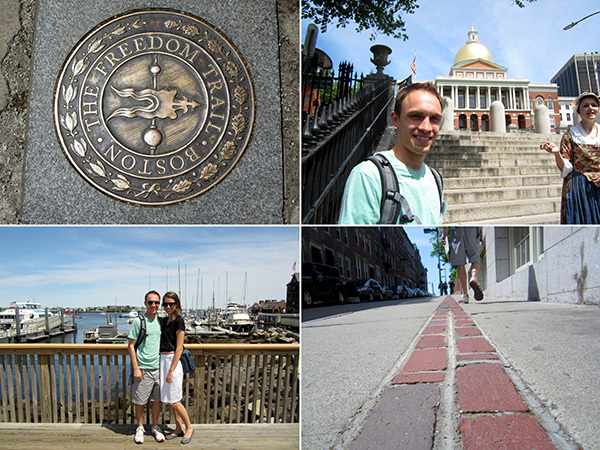 The historical sites (Paul Revere's house, the Old North Church, Samuel Adams' grave) are connected by a bricked trail. I instantly felt smarter. Yay for history! We were lucky enough to play with our hosts for our final day. 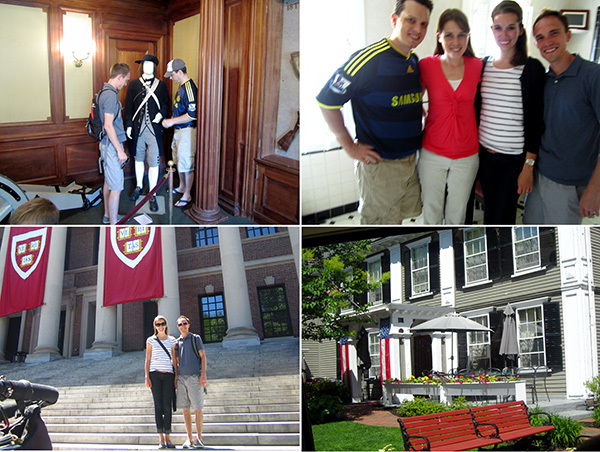 Sites seen: Old North Bridge (and breaking the hand off the mannequin), Harvard and pretty, pretty New England. Thank you, Elise and Oliver for being wonderful hosts, picking us from the airport (four visits just for us!) and giving us a world-class tour of Boston. It just whetted my appetite for more. Jealous! (That you got to see E&O, and also that you got to play in Bahston.) We love that city. 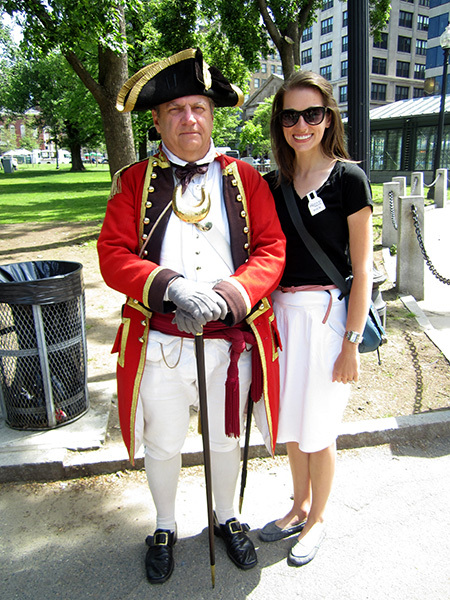 We did a Freedom Trail tour with a costumed guide too, and it was actually really good! We thought it would be cheesy, but the guide was fabulous.